Before I jet off to the Far East for a very exciting book tour (more about that in another post), it’s time for a Weekend Competition. Today’s competition features Paul Harris’ latest book, A Piece A Week, and a new series, The Foundation Pianist, written by Karen Marshall and David Blackwell; both published by Faber Music. Building on the success of The Intermediate Pianist, Faber’s most recent addition to this series will certainly be a very useful resource for piano teachers. 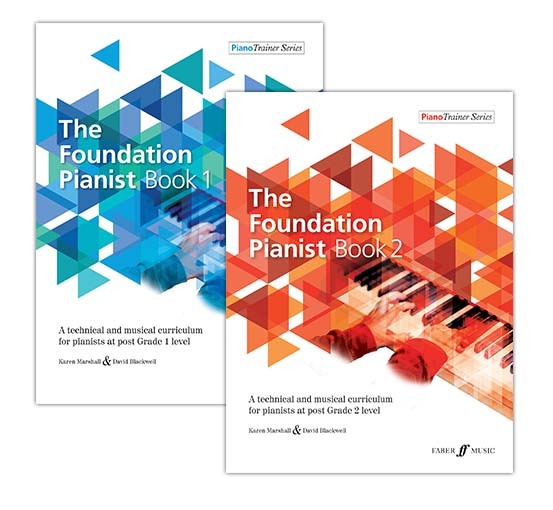 The Foundation Pianist is a set of two progressive books for pupils just beyond the beginner stage who want to develop a solid pianistic foundation. I like the layout, which is clear and easy to read, and the selection of music will inspire students to explore many different styles and genres; from madrigals, symphonies and operas, to folksongs, minuets and gypsy dances. As well as arrangements, there are also original pieces, some written by David Blackwell. Teachers and students will find invaluable information to help improve technique, musicianship and theory – with lots of little extras, such as detailed reference to various musical periods (Renaissance, Baroque, Classical, etc. ), and ‘scale and arpeggio generators’, including both the melodic and harmonic minor scales (not always a feature at this level). These volumes are well worth exploring. A Piece A Week Grade 4 piano written by renowned educator Paul Harris should also be a teacher’s library favourite. I have enjoyed observing the development of this series, which offers students that important bridge between sight-reading tests and learning repertoire at speed. 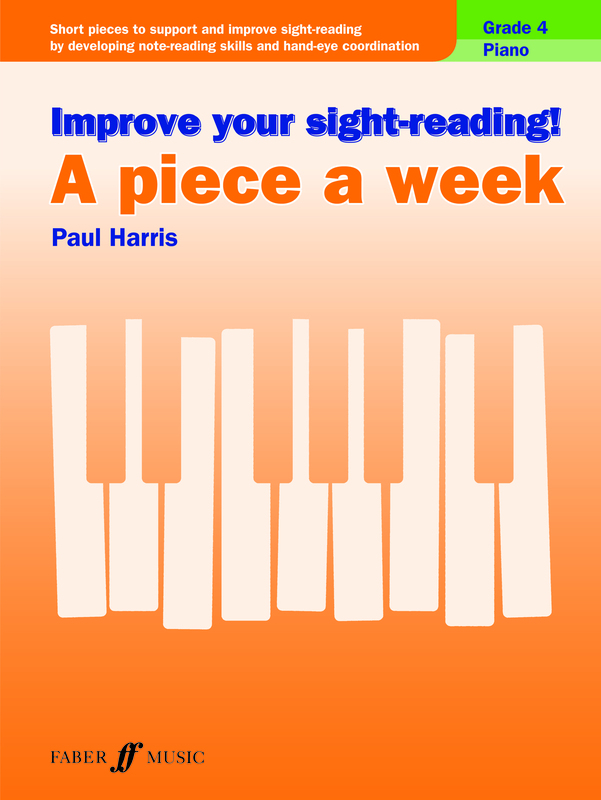 These books are designed to be used alongside Paul’s series, Improve Your Sight-reading!, and they aim to encourage pupils to learn fairly straightforward pieces (all written by Paul) swiftly – preferably in a week! It’s a great concept and the ideal way to improve reading skills. I have one copy of A Piece A Week and a copy of Book 1 and Book 2 of The Foundation Pianist to give away this weekend. As always, please leave your comment in the comment box at the end of this post, and I will announce the three lucky winners on Monday evening, so do check my blog to see if you’ve been selected. Good Luck! You can find out much more about these publications and purchase them here: The Foundation Pianist Book 1, The Foundation Pianist Book 2, and A Piece A Week Grade 4 Piano. Many thanks to all who took part in my weekend competition. 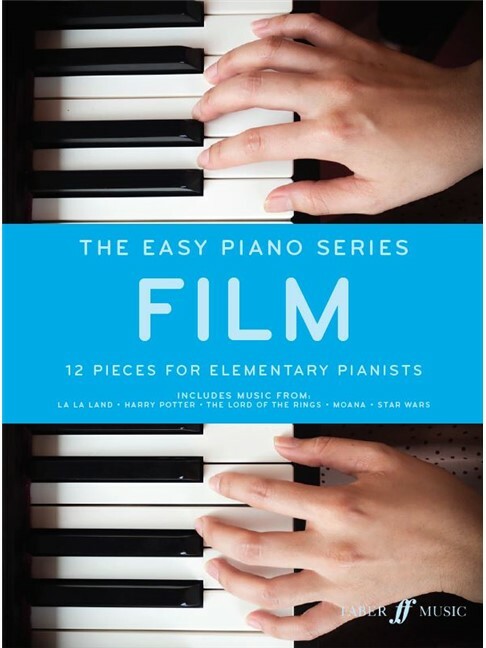 There were three books on offer this weekend, all from Faber Music’s immense library: Ultimate Piano Solos, and The Easy Piano Series, Film and Shows. Congratulations! Please send your address via the contact page on this blog, and your books will be on their way. You can purchase the Film volume, here, Shows, here, and the Ultimate Piano Solos, here. It’s Friday and therefore time for a weekend competition. My competition this week highlights three books all courtesy of Faber Music. 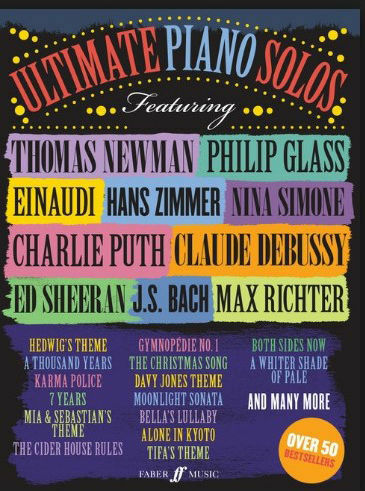 The Ultimate Piano Solos anthology is just that: a collection of fifty favourite works across many different genres arranged for the piano, for approximately Intermediate (to advanced) level. Beautifully laid out, this selection would make a superb addition to any pianist’s library, and is particularly useful for advanced players who are searching for interesting sight-reading material. It also offers plenty of ideas for those who seek party pieces too. Included in this book are the following: Bella’s Lullaby (From Twilight), Davy Jones (From Pirates Of The Caribbean), Dive (Ed Sheeran), The Entertainer (Scott Joplin), Gymnopedie No.1 (Erik Satie), How Deep Is Your Love (Bee Gees), Karma Police (Radiohead), La Fille Aux Cheveaux De Lin (Claude Debussy), Melodia Africana 1 (Ludovico Einaudi), Moonlight Sonata (L.V. Beethoven), Pavane (Gabriel Faure), Prelude In E Minor (Frederic Chopin), A Thousand Years (The Piano Guys), Variations On The Kanon (George Winston), What A Wonderful World (Louis Armstrong), Memory (From Cats). Arrangements provide the perfect opportunity to spend time at the piano getting to know both new and favourite tunes. 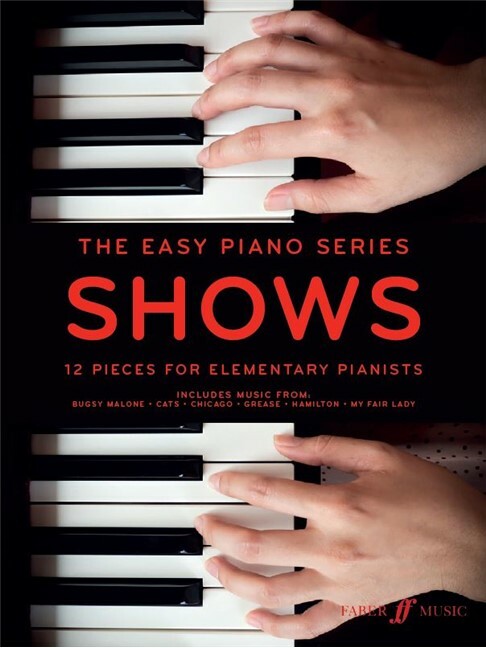 The Easy Piano Series is proving popular, and I’ve two volumes to giveaway; Film and Shows. These books are easy to read, often include words to songs plus chord indications, and are suitable for anyone from around Grade 2 – 4 (ABRSM level). Excellent as repertoire books for that ‘between exams’ stage, or for an end of term concert. 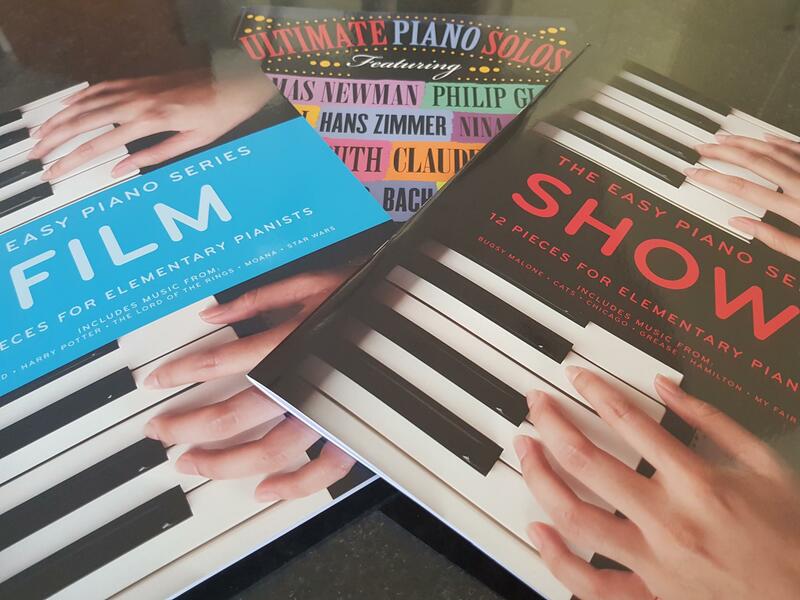 I have one copy of the Ultimate Piano Solos, and one each of The Easy Piano Series Shows and Film for three lucky readers. As always, to be in with a chance of winning, please leave your comment in the comment box at the end of this blog post. I will announce the winners on Monday evening (British time), so be sure to check my blog to see if you’ve been successful. Good Luck! The intermediate stage of learning the piano – and indeed any instrument – is a notoriously tricky period. Many teachers may find students dropping off, losing interest and quitting lessons. I’ve been teaching now for over 25 years and it could not fail to come to my attention that these stages of learning were some of the most difficult to progress through. There are multiple reasons for this, but I believe it is often at least partly due to increased school work (leaving less time to practise), at the same time as music becoming considerably more complex. Students who have a good ear and have previously been able to memorise music will start to struggle to do this with the longer repertoire. Added to that, frustrations mount as music becomes more technically and musically demanding, resulting in slower progress. My solution to these problems was to come up with an intermediate curriculum for my students that would help to develop their musical understanding and provide a holistic learning experience. But I also realised that my students required variety, the opportunity to be creative, and a continual sense of achievement. If these elements are combined with key theory, technical development, and carefully chosen repertoire, I found that note-reading will be improved, technique and musicality developed and students will gain a greater understanding of what they are learning. The Intermediate Pianist is an amalgamation of my life’s work, tailoring this holistic approach for use with Grade 3 to 5 level students. It is a series of three books that has emerged from years of working with these students, aided by many attractive compositions by Heather Hammond. 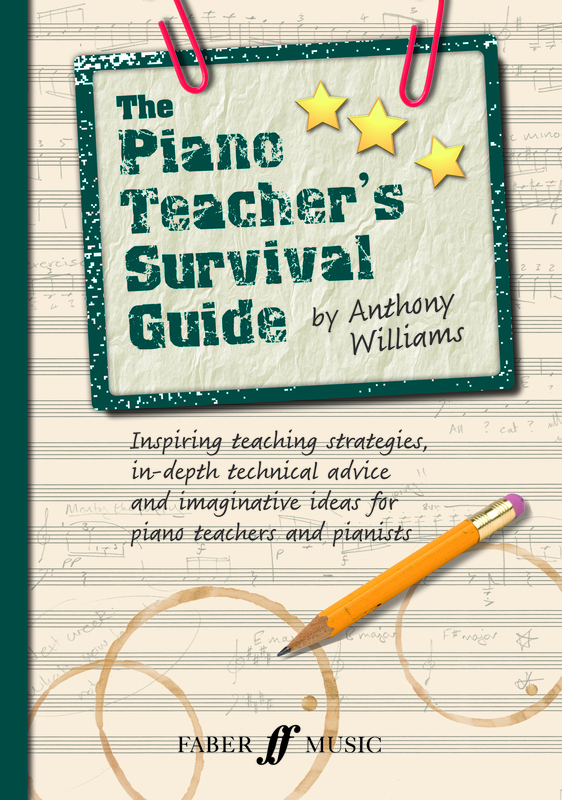 It is, in essence, a music curriculum that piano teachers can use to fit their teaching style, either by working through each chapter in lessons, or by getting students to use it at home. 25 Styles of music explained with definitions and activities over three books. Including March and Lullabies, Swing and Boogies; Polka and Baroque Dance Suits, Four chord Pop and Reggae; Latin and Theme and Variations, Impressionism and Minimalism. Musicianship activities included throughout from playing by ear to transposition, listening activities to recognising cadences. Theory is included in a creative and attractive way with word searches and quiz activities. Quick learn material for sight reading – lots of easier material is included so students will have enough time to complete the whole book and experience lots of styles, keys and improve their sight reading. Pieces move forward and backwards in levels for consolidation. Technique – All keys’ scales and arpeggios are covered up to five flats and five sharps along with carefully selected technical exercises or repertoire to develop key technique. Repertoire – Core repertoire has been selected from Bach’s Anna Magdalena Note book and his Two Part Inventions, Schumann’s Album for the Young, Tchaikovsky’s Children Album, Clementi Sonatinas Opus 36, Burgmuller’s Opus 100, Chopin’s Preludes and Bartok’s For Children. This is combined with new composition and arrangements or famous classical music from Beethoven’s 7th Symphony to the Flower Duet by Delibes, Howard Goodhall’s QI theme and Por Una Cabeza Tango. You can purchase The Intermediate Pianist from all good retailers, or from Faber’s website, here. The new Lang Lang Music Theory Cards, published just last month by Faber Music, are colourful, informative and innovative. Fifty-two colour coded cards are designed to extend knowledge and make theory an enjoyable experience for students, teachers and parents. 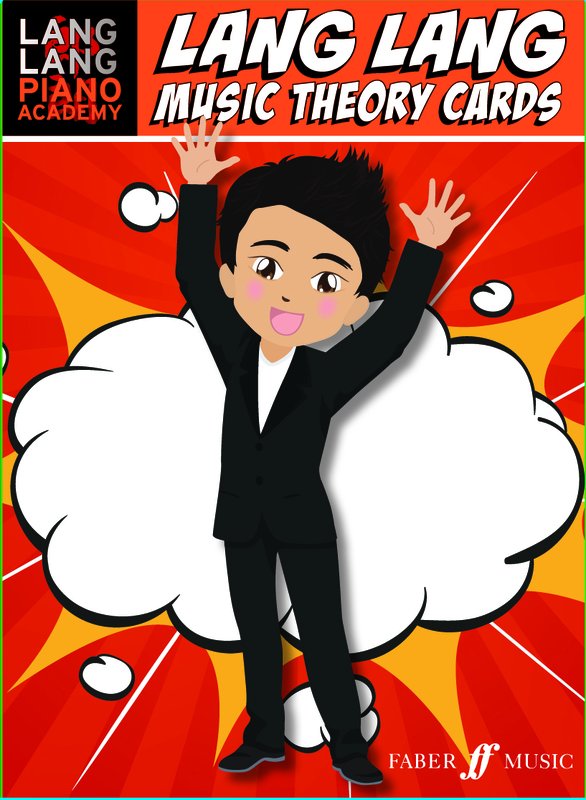 Each pack features imaginative questions to improve note-reading and music theory skills. The cards are the latest addition to the Lang Lang Piano Academy; they can be used in conjunction with the Lang Lang Piano Method and are suitable for complete beginners. With questions such as ‘True or false’, ‘What’s the difference?’ and ‘Explain this!’ alongside favourite characters displayed in the piano method books, these fun-filled packs add a different dimension to learning theory, offering an engaging, appealing adventure. Chinese concert pianist Lang Lang is renowned for his work in music education and has inspired millions of children to study the piano. You can purchase the cards here, and sign up to Faber Music’s mailing list here, to hear more about The Lang Lang Piano Academy, plus music education and piano news & ideas from Faber Music. 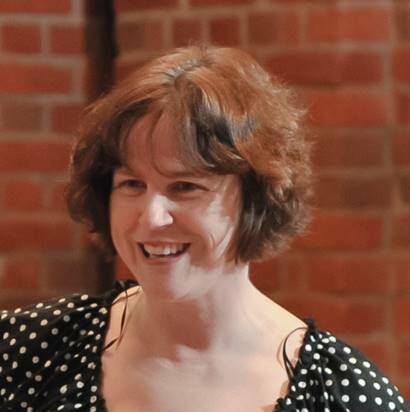 The first competition of 2018 features an innovative, attractive volume penned by renowned composer Pamela Wedgwood. Piano Gallery (published in November 2017 by Faber Music) is a collection of 14 piano pieces which, as the title suggests, have all been inspired by great works of art. Each piece corresponds to a particular painting, and these paintings have been beautifully printed and included as a pull-out (in the middle of the publication) alongside the music. 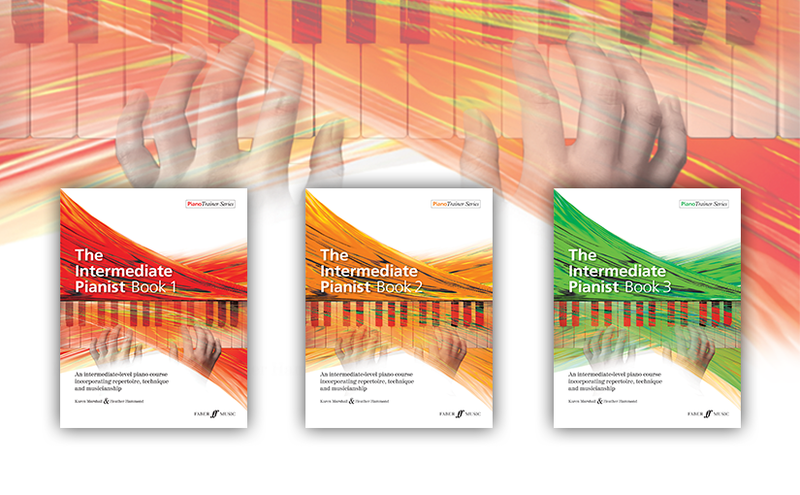 The works are easily accessible and intended for the intermediate level pianist (around Grade 4 – 6 of ABRSM standard). Playing through them, I would suggest they contain a variety of styles, yet Pam’s own voice can still be clearly heard. I enjoyed Starry Night (painting by Vincent Van Gogh), Fatata te Miti (painting by Paul Gauguin) and Large Wave (painting by Hokusai). You can discover the music and paintings behind them for yourself by taking part in my competition. I have one copy to giveaway to one lucky winner. As usual, just leave your comment in the comment box below this blog post, and I will pick the winner on Sunday evening (British time). Be sure to check the post here on this blog, to see if you’ve been selected. Good luck! 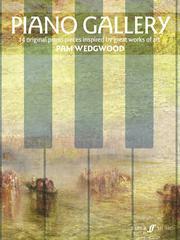 You can find out more about Piano Gallery, here.